Interview with Graham Talbot, ex-CFO and EVP of Maersk Energy. This global CFO defied conventional strategic leadership and change principles to expand his influence in unexpected ways. Meet Graham Talbot. His career trajectory is far from the expected financial leadership path. Graham’s strong interest in strategically leading organisations through major change is proof positive that CFOs can influence all aspects of a business – beyond the numbers. You can connect with Graham on LinkedIn. Arielle: Graham, it’s great to see you. GT: So nice to be here. Arielle: We’re really looking forward to talking about your career path. Let’s start with a philosophical question. What makes someone a strategic leader? GT: In my book, you’re leading strategically if you’re working your organisation through a material or significant change from the current status quo. The bigger the change, the bigger the leadership challenge. While many of the same day-to-day leadership skills are applicable, some very specific muscles need to be flexed. Interpersonally, you need to be highly inclusive, have strong communication skills, be authentic, resilient and – ideally – be a few steps ahead of everyone else! Operationally, you need to set the change effort up for success. For me, this starts with defining what the end state will look like. If you can’t articulate why you are doing what you are doing in a clear and concise manner, then you probably shouldn’t be doing it. Most people love the status quo, so you have to able to state the case for change in a way that it excites and motivates people. Arielle: Easier said than done, right? GT: Absolutely. Think about making major changes in your own life, such as losing weight, training for a triathlon, or quitting smoking. There’s no use really trying unless you’re in the right state mentally. If you’re not convinced this change needs to happen, your chances of succeeding are small. Change in business is much the same – with the added challenge of influencing the priorities of many, not just one! (Related Article: 7 Mistakes That Executive-Level Job Seekers Need To Avoid). Arielle: You mentioned authenticity as a descriptor of strategic leadership. On that note, was your career path as a change leader intentional, or did it evolve naturally? GT: My path as a change leader was not one that I actively pursued. And yet today I struggle to think of working in a business-as-usual environment. As an aside, I think business-as-usual roles are actually becoming unusual anyway. I’ve been fortunate to work with some exceptional companies and people across many cultures. These experiences enabled me to see, and be involved in, a lot of change. But evolving as a strategic change leader was a real and ongoing learning process. (Related Article: Principles Of Leading Change In The Digital Age). Arielle: Share an early experience with us. Many years ago I was leading a significant global change and I was very disillusioned with how it was going. I was travelling around the world with a 100-page slide deck ‘telling’ everyone what was going to happen. At that time that’s how change was done. I wasn’t enjoying the presentations. The exit surveys were underwhelming. My disillusionment led to me pause the program and look for another way. In a big leap of faith, I ended up bringing in an event manager to help me. We completely reformatted the engagements, introduced music, games, breakouts, posters – all kinds of visual aids. It was a quite conservative sector of the business (both above and below) and honestly, I wasn’t sure how it would all go. Fast forward a few months – engagement and key message retention skyrocketed! We went from struggling to get people to engage to the opposite. That everyone has a different way of learning – and with big change you need to cover all formats of communication – town halls, newsletters, videos, blogs, etc. And even when you do all of this, some people still will not get it, so you need a safety net for them. Believe it or not, strategic leadership and change can be fun! So this was a key turning point for me. Instead of focusing on the ‘what’, I learned that the real challenge is in getting the ‘how’ right. Arielle: Your recent role as EVP/CFO of Maersk Energy would be unthinkably risky for some. How did you wind up in that particular spot? GT: Maersk is a great company. It’s publicly listed, but control is still retained by the founding family. They have a long-term perspective on the business, which is very refreshing. And they have very strong values which inform discussions and decisions daily. When I joined as CFO of Maersk Oil & Gas, the strategy was to grow the business. We had a strong balance sheet, built a strategy around our core strengths and started working on acquisitions. Our big picture plan involved changes in organisational design, new markets, new technology you name it. A few months later the oil price collapsed from over $100/bbl. to under $40/bbl. This made acquisitions extremely difficult. Sellers believed that prices would recover to $100/bbl. Buyers believed that $40/bbl. was the new norm. Finding common ground was challenging. Over the next 12-18 months, we cut our operating costs by over 30% and materially reduced our workforce. No stone was left unturned. Ultimately the Board conducted a strategic view which I participated in, deciding to divest the energy-related businesses from the listed Maersk Company and transform the company into an integrated logistics business. This is when I became CFO of Maersk Energy, which was responsible for restructuring the energy assets (approx. $15bn). So I joined the Boards of each of the energy businesses and set about separating them out from the Group. This meant moving each business to a stand-alone state and then working with a very lean team on the various separation options including demerger/listing and trade sale. This restructuring was only recently concluded with the announced demerger of Maersk Drilling. We conducted a dual track process on Maersk Oil and Gas and ultimately sold it to the French energy giant Total for $7.45bn. Arielle: So often in these interviews, we focus on what goes well. Instead, tell us about some of your tougher days in this role. GT: (Laughs). There were lots of challenging days. For example, saying goodbye to some great people who had long and distinguished careers with the company but were no longer required given the strategic direction. This occurred in the business I was part of, and also at the group level. This created a lot of uncertainty and restlessness. Leadership worked hard to mitigate the ‘valley of despair’ that was forming. Another tough situation was losing a major, very material contract – and one of the original building blocks of the oil and gas business. This hit the organisation hard, especially the people who had been part of that journey from the beginning and had built their careers upon it. And personally for me, as CFO, I had some very material write-offs that had to be taken. These were always bad days for me as I think of the opportunity cost of the capital written off. It definitely sharpens your focus in relation to future capital investments! Arielle: As CFO at Maersk Oil & Gas, you set up a trading team to generate value. How did that happen, and was this a first for you? GT: I had been involved in setting up various components of trading teams in other roles, but yes – this was a first for me in terms of starting it from scratch and then operating it. Establishing a trading business is arduous from a stakeholder perspective. Everyone has a different view of what a trading organisation entails, as well as its associated risks. So of course, this meant a lot of stakeholder meetings, a governance structure, a project committee and a risk committee. When we set up the design and its internal support structures, I luckily had access to great product marketing people with relevant experience that were under-utilised. We managed to build the business based off relatively low barrels under control. Once we could walk, we started to trade for other companies. Then we designed some structured deals which were very creative and added material value. From its standing start, this business unit made a healthy profit with a very aggressive growth plan. (Related Article: Building An Effective Digital Transformation Strategy). Arielle: As Finance Director at BG Group, your focus was on revaluing Queensland and rethinking the operational status quo. How did being the last executive standing influence your leadership strategy or principles? GT: I had to learn to lead on the fly. There was a real sense of urgency on delivery of the project. It was very material for BG. Every day we had a new problem to deal with – and that meant accepting that a large part of the role required the ability to make quick decisions, fix things fast and keep moving. It was often said this project was like driving a car down the freeway while building it. Not long after my arrival, we had to undertake a full project review and go back to the Board for reapproval of a material increase. This was a very intense period given the pace at which this $20bn project was moving. This was coupled with the need to rework it and explain to the Board why it was now 25% more expensive. At the same time, I was working on capital raising and further diversifying our group shareholder base in Asia. This involved investor roadshows throughout Asia either with the Group CFO or Investor Relations. For this, I needed a detailed knowledge of the Group strategy and metrics together with a lot of detail on the business in Australia so I could help investors understand what was happening on the ground. I would ensure that I spent time in the field to understand first-hand how things were progressing, where the issues were and what was being done about them. I enjoyed the engagement with the analysts and investors; they are very clever people and ask great questions which are not always apparent when you’re in the engine room! Overall, there was pretty good alignment within the business about what needed to be done. The key pain points were around roles, responsibilities and communication. Some people held the belief that information is power and wouldn’t share it, causing unnecessary conflict. To rectify this, we had a weekly management team meeting which included over 23 people. This sounds very wrong, but it worked quite well given the pace at which we were operating and the speed at which plans could change. Arielle: What did you learn about strategic leadership in your role as Downstream CFO & Director at Shell Australia? GT: This was a time where the benefit of visible leadership really hit home to me. Together with the executive team we were mandated to optimise the business with pretty much full autonomy. This meant we didn’t have to comply with the global matrix model. If I recall correctly, on arrival over 200 staff reported to someone outside of Australia. We moved the reporting lines on shore, set our strategic direction, gave staff much more autonomy to make decisions and ran pretty hard. As a leadership team, there were a few things that really stuck with me. We often presented together with a common cohesive story. We all knew each other’s business pretty well so could clearly articulate where our own plans interfaced with other functions. This resulted in us presenting as a very united team and provided considerable confidence to the organisation. We had some tough strategic decisions to make, but we took them head on and regularly travelled around the country to each location to talk to staff. So yes – visible, engaged and authentic leadership. It was a privilege to work with such a great team and achieve great results in such a short time frame. Arielle: This must have been a rocky road. Talk about the ups and downs, and perhaps some of the careers you influenced for the better. One of my strengths as a leader is to create stability and calm. Sounds odd when my focus is around change and disruption, but the trick is to think about what you as a leader can do to give people confidence and calm them down when everything around them is changing. This change can either be generated either internally or externally. There is a very fine line to be walked between motivating and exciting the organisation and stabilising some critical foundations which keep people sane. Quite a few times, I identified people who were just in the wrong place and needed to move to flourish. Sometimes they didn’t even know they were in the wrong place. I’ve rarely been disappointed after giving people an opportunity outside of their comfort zone. I remember recruiting for a head of strategy. There were a number of ‘expected’ candidates, but I had spoken with a bright engineer and convinced him it would be a great role for him. Several people thought this was a strange choice, but he was excellent in the role and it set him on a new development path. I have had senior people move from tax specialisation transfer to planning, and have had an economist move to change leadership and strategy. Knowing the people well – how they work, what motivates them and then how to keep them challenged – made all the difference. Some resisted the possibility that a stretch assignment might be a good thing and doing something completely different could feel liberating. Coaching and support were essential. This is especially true for people transitioning from manager to leader. Letting go of the technical knowledge that got them to where they are can feel very vulnerable. One way I’ve dealt with this is to move them into an area where the focus is on leadership versus technical expertise. Linked to this is treating every event – good or bad – as a learning opportunity and then leading by example. So when something doesn’t go as planned or someone makes the wrong decision, work with them to analyse the situation. See what can be learnt from it and then share that learning. Arielle: Speaking of things not going as planned, let’s dig into your Kazakhstan role. Tell us about some of the risks you took and how you grew from them. GT: Taking the role in Kazakhstan was a very conscious decision. Shell was a partner in the venture which was operated by ENI. So technically I was employed by ENI, but I was the most senior Shell employee in the venture. I was also a member of the predominantly Italian management team. Imagine being an Australian, working for a Dutch company, then seconded to an Italian company operating in Kazakhstan with predominantly national staff! This was a truly amazing experience. It was tough living away from my family. The climate was extreme, the business complex and the political landscape full of challenge. This role taught me to constantly make decisions with incomplete information, to stay flexible and to build capability in fixing things when they go wrong. Beyond that, I learned the true meaning of resilience. In fact, since this role, I haven’t really come across a business issue which has unduly stressed me. Thanks to this experience, I’m able to remain calm, explore options and then land on a solution. This helps people around me deal with difficult issues – I lead by example. As I mentioned, in a project like this you can’t always trust the information flow. Not to say that people lie, but they err on the positive at times. So you need to get out into the operational areas and talk to people. You need to see the reality for yourself. As an added bonus, I made some life-long friends along the way. Arielle: You had a brush with the law. Tell us about that. GT: Kazakh people are master negotiators and are very creative in finding ways to build leverage in negotiation. One ploy is to target an expatriate – often through breach of the law. I would sign a very large pile of documents every day. This is routine in an ex-Soviet country. The tax authorities claimed that one of the documents I signed wasn’t in compliance with the law. This was a known issue whereby we had special conditions under our agreement with the government which were different to common tax law. I was deposed and then learnt that I was going to be arrested! I left the country for several months until we could resolve the issue which, of course, was linked to a range of other issues having nothing to do with me. In short, these assignments come with tremendous and often unanticipated risks. But as I mentioned, managing them is a unique learning opportunity. (Related Article: Executive Burnout Is No Joke). Arielle: How do you shape a true safety culture during times of massive change? This is so tough in a 24/7 business/role, yet so critical to success and reputation. GT: There is no short cut to good safety performance and everyone should be a safety leader. It’s imperative that management walks the talk – especially in safety. During times of significant change, it’s easy to lose focus. Leaders should take care to specifically identify the impact of any change on safety and ensure that it’s managed. That actually goes for the entire business. Often an organisation can take its eye off the ball during big change programs and safety performance falters. It’s important to make sure that the relevant teams are ring-fenced from the change and focused on maintaining the underlying business safely. Shell was fantastic when it came to safety leadership. As a finance leader, I was expected to be quite highly qualified in Health, Safety, Security and Environment (HSSE). Without it, I knew my career progression would be impacted. And I had some great role models. I remember once my finance leader flew in for a visit during a project. Later that night, several operational staff approached me with positive feedback on the visit from the “Shell HSSE Manager” — what a great guy, he really understands HSSE, he was really inspirational etc. Then I got to tell them he was my boss, the Finance Director. How powerful is that? So many people in functional roles believe they do not have a role in safety leadership; I would argue the opposite. A functional person demonstrating safety leadership is extremely uplifting and is well worth the investment. Arielle: Your leadership style is so different from that of a typical CFO, who is seen as a bean counter, head chopper type. Your differences have enabled you to lead in areas such as employee engagement and retention. You were even interviewed as an expert on workforce diversity. How did you earn this seat at the talent table, so to speak? GT: As CFO and a member of the finance function you have great access to information that – very often – no-one else has access to. If you’re curious about the business as a whole, you can use this information to communicate insights to the business which drive change and improve performance. This is where the connection to engagement and retention comes in. I also have been mentoring internally, as well as in the Powerful Women program in the UK for the last few years. This often involves discussions around gender diversity and its impact on career management. This is a subject which requires open discussion to ensure it delivers positive outcomes, as there are often misconceptions that do not work well for the company or its employees. I see my role on the executive team as a member of the team, versus solely as the CFO. To me, this means I have both the right and the obligation to contribute where ever I can, not just in my functional area. Arielle: One of your passions is green/clean energy. What opportunities do you see on the horizon from a strategic leadership perspective? GT: You really should not get me started on this. (Both laugh). I have had a long, wonderful career in oil and gas working for great companies with many fantastic people. But the world is changing and climate change is real. This is a huge challenge – and I am personally fascinated by how the transition will occur and who will be driving it. Even though this change won’t happen overnight, the change leader in me believes that we need to start planning now. Big industries with massive capital in place will need to change. Traditional oil and gas companies need to rethink long term strategies. Power generators and retailers need to rethink their future. There will be more consolidation and integration across the energy sector. By that, I mean resources through to power generation and distribution. It is an absolutely fascinating time to be in the energy industry. Even in 2050 fossil fuels will be essential to meet the world’s energy demands, but it will look a lot different than it does today. We need a lot of talent to get us there. Today people think that renewable energy is expensive compared to fossil fuels, but if you include externalities such as population health and the environment, it’s actually cheaper. So much education is required. In many respects, this is just another change project requiring strategic leadership. For many the case for change isn’t clear, the roadmap isn’t clear and it will take a long time, which is code for ‘not my problem’. But I’m optimistic. There is simply too much social pressure and clever people in the world for this approach to prevail. So the key question is – what will transition look like? Personally, I’m getting involved in solar projects, commercialisation of inverter technology, using recycled plastic and timber for construction materials and biofuels projects. All of these are great learning experiences and will hopefully do their bit to move the needle in the right direction. (Related Article: The State Of Social Enterprise In Australia). Arielle: What should CFOs be on the lookout for? The role of the CFO is evolving quite rapidly. I still meet some executive teams where the CFO role is very tightly defined and basically looks after numbers and compliance. For me, this is a big miss for companies. But more and more, we are seeing the reverse – where the CFO is the right-hand person to the CEO and is a key leader in the organisation. With all of this role expansion, CFOs shouldn’t lose track of the basics such as cash flow management, financing and capital investment which, of course, is linked to strategy. You have to master the basics if you want to be an active player in other parts of the company. If you don’t have the basics under control then don’t look for any more to do! 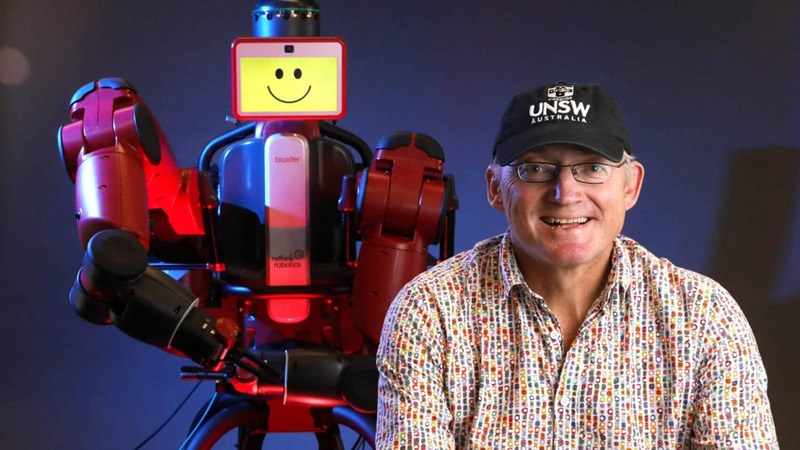 (Related Article: Bold Predictions For The Future Of Work In Australia). Arielle: Graham, any hints on where should our readers look for you next? GT: In my next role I will continue to follow my passion for energy transition while broadening my own skill set in the energy value chain in line with the future trends and – wait for it – delivering a major change program for a very large capital asset portfolio in a new cultural setting. Arielle: Thanks so much for talking with us today. GT: It’s been great, thanks for inviting me.